Central Ohio is home to one of more than 200 affiliate of the Autism Society of America, a non-profit group of parents and professionals advocating for people with autism. ASCO offers families and professionals educational opportunities to learn about autism on a local and national level. They strive to offer a variety of workshops, family supports and informational sessions by local and national leaders on an annual basis. Mission: to improve the well-being of our community by reducing the incidence of mental health problems and eliminating the abuse of alcohol and other drugs in Franklin County. The Central Ohio Transit Authority is the regional public transit provider for greater Columbus and central Ohio. With a service area of 1.2 million residents, COTA provides more than 19 million passenger trips annually. COAAA plans, coordinates and advocates for the development and delivery of services for older adults, families and the community. Through leadership, funding and education, the COAAA supports individual choice, independence and dignity. Central Ohio Crime Stoppers programs include an anonymous tipster hotline, a "Most Wanted" program in finding fugitive felons, promoting Student Crime Stoppers programs in area high schools and college campuses, and the creation of other programs to help local law enforcement. Central Ohio Crime Stoppers consistently gives out over $35,000 in rewards to anonymous tipsters every year. Face of Forgiveness seeks to raise the awareness about victimization and the power of forgiveness while living with a disability. Hearing Impaired Services Program, MOBILE provide assistive devices to the deaf or hard of hearing community to improve safety and accessibility. The program is for residents of Franklin County, (excluding the City of Columbus). Ohio Benefit Bank MOBILE is an Ohio Benefit Bank Site assisting people with filing taxes, buying food, accessing medical care, and stretching our household budgets, child care assistance, health coverage, and much more. G. Michael Payton, Ohio Civil Rights Commission Executive Director with John Coats, II, MOBILE Executive Director. Fifty years ago today on July 2nd, The Civil Rights Act of 1964 was enacted. On this 50th, anniversary of The Civil Rights Act a historic meeting took place between MOBILE's Executive Director John Coats, II and Ohio Civil Rights Commission Executive Director Michael Payton. In the meeting both organization affirmed their commitment to civil rights and equal access for people with disabilities. The Mid Ohio Board for an Independent Living Environment (Mobile Center for Independent Living) continues to advocate for people with disabilities as it has for over 34 years. Mobile Center for Independent Living refers Consumers who have been discriminated against, to the Ohio Civil Rights Commission. Ohio is home to more than 848,000 veterans – the sixth largest population of veterans in the United States. The Ohio Department of Veterans Services (ODVS) serves those who have served by actively identifying, connecting with, and advocating for veterans and their families. 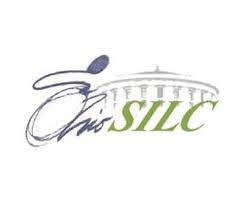 The Ohio Statewide Independent Living Council (OSILC) is committed to promoting a philosophy of consumer control, peer support, self-help, self-determination, equal access, individual and systems advocacy, in order to maximize leadership, empowerment, independence, productivity and to support full inclusion and integration of individuals with disabilities into the mainstream of American society. SMP-Pro-Seniors MOBILE in partnership with Pro Seniors is committed to educating older adults and their caregivers about the wide variety of legal and long-term care issues that impact their lives. Through the Pro Senior program MOBILE provides community education to groups throughout Ohio. Training people on various topics such as: how to detect and report health care fraud, errors and abuse, Living wills, health care powers of attorney and Medicare.